Trend is part of the Rottner stainless steel mailbox trend program! 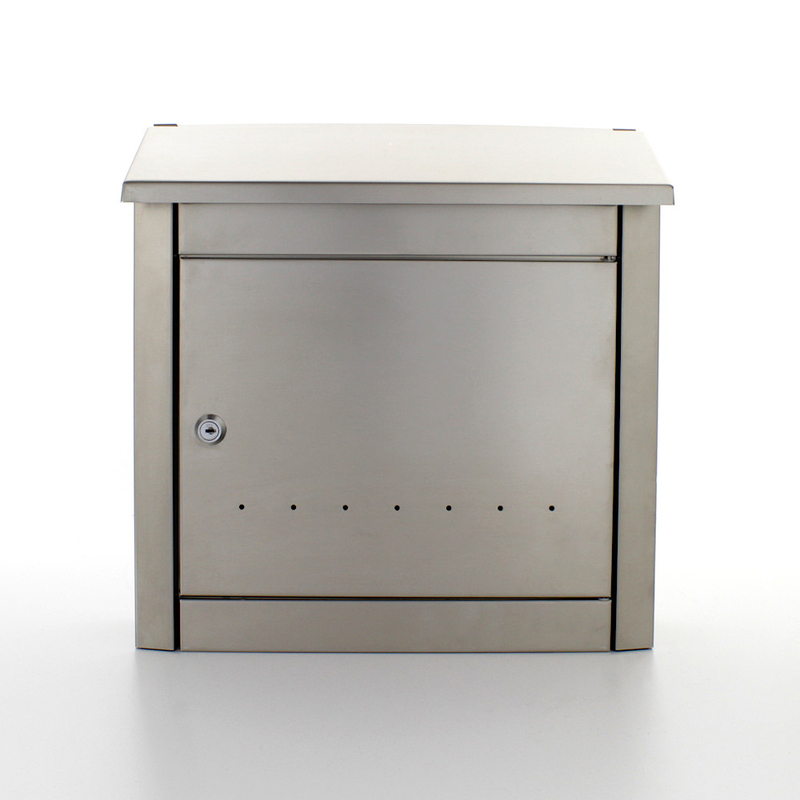 The box is made from brushed stainless steel features a decorative perforation on the door and has slightly bevelled sides. The sloping front flap protects the items inside from moisture and dirt. The wall-mounting fixing material is included in YOUR delivery. The Rottner Stainless Steel Mailbox Trend keeps what it promises. On the outside, a decorative perforation and slightly slanting sides adorn it. The front flap protects your items against moisture and dirt. In order to easily mount your mailbox, you will find fixings included. Made from high grade rust proof stainless steel.